The Social Development Commission (SDC) is the largest of eighteen members of the Wisconsin Community Action Program Association, with responsibility to develop and oversee programs designed to improve the quality of life for low-income Milwaukeeans. Created in 1963 by state statute, the Commission involved the collaboration of civic organizations including the City of Milwaukee, Milwaukee County, Milwaukee Public Schools, Milwaukee Vocational School, and the United Way. Historically, the mission of the SDC has been expansive, charged to “study, analyze and recommend solutions for the major social, economic and cultural problems,” insure equal housing and employment opportunities, “foster mutual self-respect, understanding and harmony,” eliminate blighted areas, and foster participation in the arts. Despite these high ideals, the Commission became embroiled in controversy almost from its outset. In the August of 1963, civil rights activists targeted the SDC after one of the Commission’s first members belittled African Americans. After weeks of protests, this individual was forced to resign. The SDC soon took on increased importance after the War on Poverty began in 1964. The SDC assumed responsibility for overseeing millions of federal tax dollars allocated to Milwaukee. The responsibilities of the SDC have constantly evolved, as social conditions and government policies have also changed. 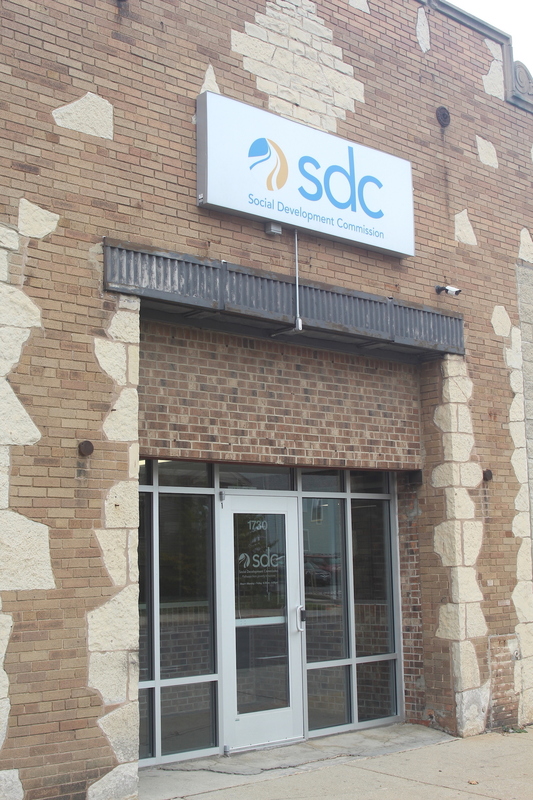 During the past fifty years, the SDC has managed or funded many initiatives, including aiding refugees in starting businesses, helping reduce the risk of lead poisoning in older residences, running the Milwaukee Head Start program, providing services for the W-2 work program, providing training for construction labor, and sponsoring a Summit on Poverty. In very recent years, the SDC has discontinued its relationship with certain of these programs. ^ About, Social Development Commission website, accessed November 4, 2017; Social Development Commission, WISCAP website, accessed December 5, 2017. ^ John Gurda, The Making of Milwaukee (Milwaukee: Milwaukee County Historical Society, 1999), 365. ^ Mark Edward Braun, Social Change and the Empowerment of the Poor: Poverty Representation in Milwaukee’s Community Action Programs, 1964-1972 (Lanham, MD: Lexington Books, 2001), 27. ^ Gurda, The Making of Milwaukee, 366. ^ Robert Mullins, “Program Offers Refugees Help Starting Their Own Businesses,” Milwaukee Business Journal, accessed November 15, 2017. ^ Kirsten Klahn, “New Milwaukee Lead Program Spurs Work for Contractors, but It Comes with a Price Tag,” Daily Reporter (Milwaukee, WI), n.d.
^ “Social Development Commission Moving to Walnut Way Neighborhood,” Milwaukee Business Journal, accessed November 15, 2017. ^ “SDC Launches Training Class to Address Construction Labor Shortage,” Milwaukee Business Journal, accessed November 15, 2017. ^ “2016 Annual Report of the Social Development Commission of Milwaukee,” Annual Reports (Milwaukee: Social Development Commission, 2016). Blanks, Deborah Clements. In the Arena: The Story of Community Action in Wisconsin. Madison, WI: Wisconsin Community Action Program, 2015. Braun, Mark Edward. Social Change and the Empowerment of the Poor: Poverty Representation in Milwaukee’s Community Action Programs, 1964-1972. Lanham, MD: Lexington Books, 2001.